A mixture of rounded and angular quartzite stones with a subtle pink overtone branded as Staffordshire Pink gravel. 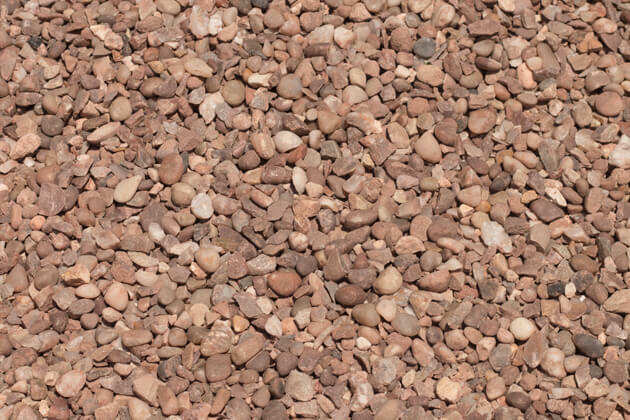 Our Staffordshire Pink gravel is 10mm in size creating a decorative gravel perfect for landscaping, driveways and footpaths. Staffordshire Pink gravel is also a great security feature for any house due to the noise made when the surface is trafficked. 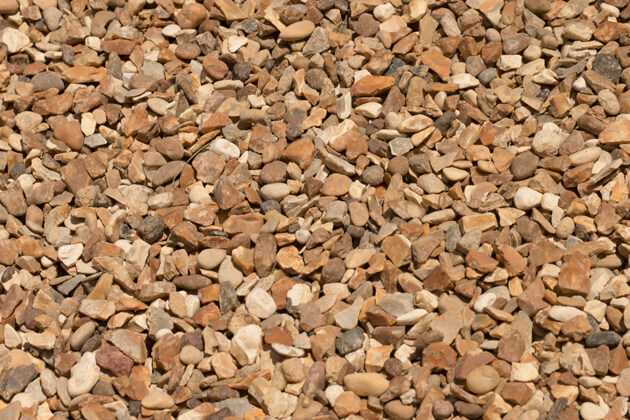 10mm Golden Gravel consists of a mixture of mainly rounded and some angular stones producing a hardwearing surface. This warm Golden Gravel is a very popular driveway gravel. This warm Golden Gravel is excellent for brightening up dark areas and is a relatively low cost and low maintenance way of enhancing the appearance of any landscaping project. Flat, angular 20mm Welsh Plum Slate Chippings/Gravel. Colours are pale and subtle when dry, bright and striking when wet. The versatile nature of Plum Slate Chippings/Gravel has resulted in various uses from driveways and footpaths to planting borders and water features. 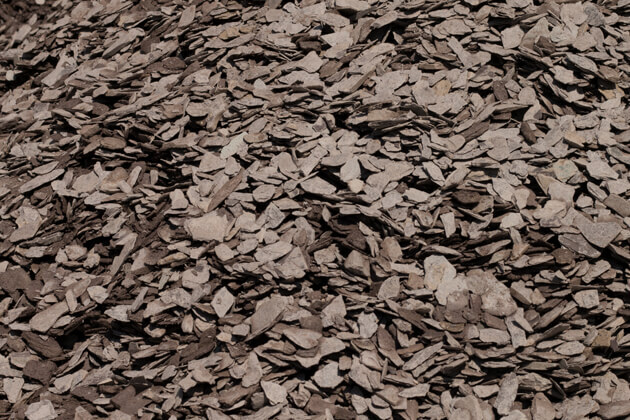 Plum Slate Chippings/Gravel act as a very good weed suppressor and is an attractive alternative to wood bark/mulch when used on planting borders. Speak to one our experts and place your order today!